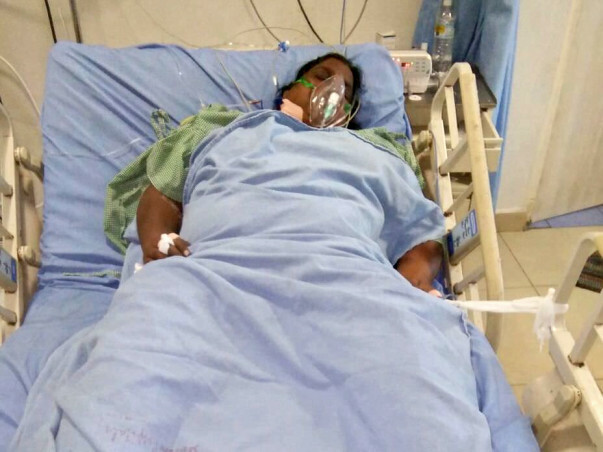 Update: Sailaja lost her battle with Liver Cirrhosis and expired around 3 AM, 12/13/2017. All the proceedings will be given to her husband. Sailaja is my sister (my mother's-sisters daugther). 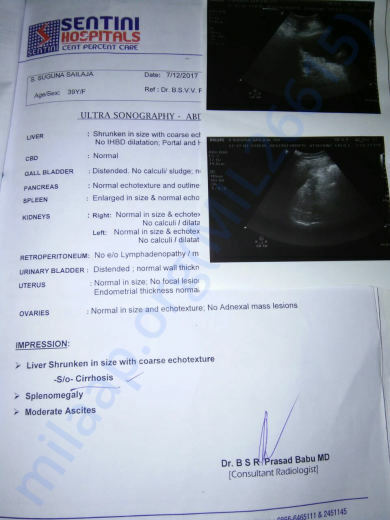 She's suffering from Liver Cirhossis which is also called liver damage and is in Stage - 4. She's just 39 years old living in village near Repalle, Andhra Pradesh with husband who is a farmer and a 13 year old son. In last couple years she used to experiencing fatigue, weight increase, getting fluids in the body, suffered from hepatitis etc and was just on normal medication in local hospitals. 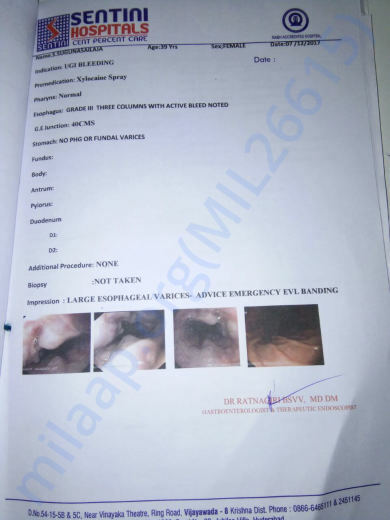 But this condition went on to become severe and they finally approached bigger doctors in the cities and came to know that the liver is getting damaged and was slow in repairing it self. She was in treatment from almost an year in the city hospitals, sometimes used to come as emergency as she used to bled out as form of vomiting, internal bleeding and doctors had to put bands at least 5 times in last 6 months to stop these. In the process of all these my brother-in-law Mr. Sambasiva Rao Sunkara had almost drained all the cash, sold cattle etc. And her son isn't able to concentrate on anything else and he became weak and is always staying with his mom and he's experiencing all the mental trauma. Now it came to the situation that the liver needs to be transplanted almost immediately as my sister is experiencing very severe changes to her body in last 2 days that her body got swollen and she needs to be on oxygen as she couldn't breathe herself. Since they belong to Andhra State they might not get govt. help if they have to get the treatment in Telangana state where all the big hospitals are. Even though they could we might get only very minimum of what the doctors are saying. And even after the surgery she needs to be in constant care for months and their family needs to move near hospital and all the other things. So we as a family are seeing Milaap as a great platform to get the help needed. Thank you very much for all the donors, this means a lot to us. It is with sad heart I came here to update that my sister Sugunasailaja Sunkara had expired at local time 3 AM, 12/13/2017 leaving behind her husband and son. Thank you for all the support and all the proceedings will be given to Mr. Sambasiva Rao Sunkara.